Among those present at the day’s Mass was Archbishop Arturo Antonio Szymanski Ramírez, the Archbishop emeritus of San Luis Potosí in Mexico, who turned 95 in January. 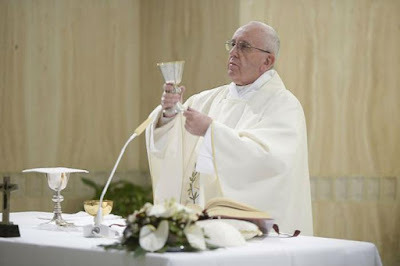 Pope Francis noted his presence at the beginning of his homily, recalling that the Archbishop had taken part in the Second Vatican Council, and that he still helps in a parish. The Holy Father had received Archbishop Szymanski in an audience on Friday.